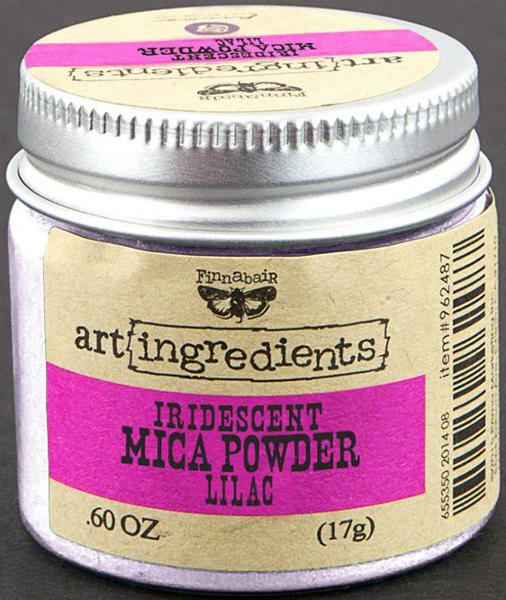 Mica Powder from Prima and Finnabair. It's shimmery powdery goodness in a jar! Used dry or wet it will lend a sparkled essence to any project. Try pairing with Matte Gel and apply just like paint. The gel will help the mica adhere to the project for long-lasting results. Or brush the powder on dry, then seal for a completely different effect. Add texture and a unique look to your paper crafts, mixed media projects and so much more!